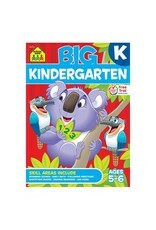 Big Kindergarten - Grow Children's Boutique Ltd. 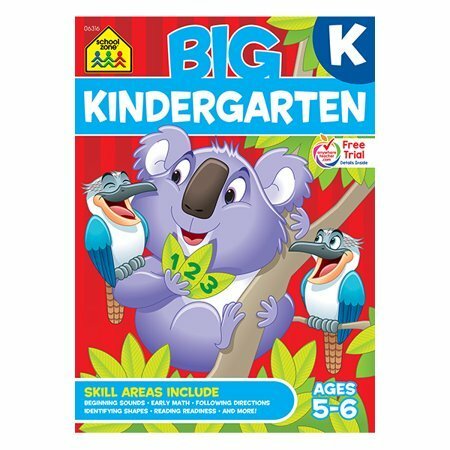 The "K" in "K-12" starts here From the alphabet to reading readiness, from numbers 0-20 to transition math and shapes and measurements, this world-class 320-page workbook is designed to give kids all the basics for kindergarten and help set the stage for first grade. Cover to cover it's packed with colorful, creative practice in early math and reading skills. Logic and critical thinking grow, too. Bold, bright colors and illustrations create curiosity and maximize motivation for the excitement and challenge of the "K" curriculum. When all done little learners can fill in their name on their very own reward certificate. Tear-out pages make for easy sharing. Along the way, tear-out pages make for easy sharing. School Zone products give kids their own. Anywhere Teacher learning, anywhere and anytime.